LOVE is the first fruit of the Spirit. I have been praying on these recently and over the next few weeks I hope to share what God has put on my heart as I dig into what it means to be filled with the fruit of the Spirit and how that manifests into day to day life. Love – over-used, under practiced and many times completely misunderstood am I right? We can love people, things, places, even ideas. Love manifests in many forms; caring love, intimate love, service driven love, a word meaning you “really like” something. The love Jesus talks about is the love that God exemplifies – Agape love. 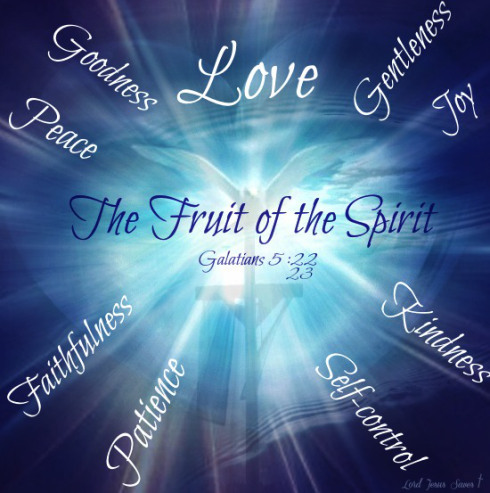 Let me back up by explaining what “Fruit of the Spirit” is. “Fruit” is the natural result of growth. And “of the Spirit” explains exactly Who causes that growth—it’s not our striving or straining, but the power of the Holy Spirit. No amount of human toil or gritty determination can produce spiritual fruit, but the Spirit’s influence in a yielded heart can work miracles. The fruit of “love” may be the best example. We cannot produce the type of love God desires without the leading and strength of the Holy Spirit. “Love” in the English version is quite broad. The “Love” taken from the Greek language however is very precise. The love which the Holy Spirit manifests in believers is agape. This love is not a feeling, but a choice. It’s an action, a verb. It is the choice to be kind, to sacrifice, to consider another’s needs greater than one’s own (Philippians 2:3). Agape is used in all of the “hard” love verses in the New Testament. Love is the greatest gift God can give. In First Corinthians 13 I want to substitute “love” for “agape” so it reads: Agape is patient. Agape is kind. Agape never fails. God desires to show His perfect, selfless love to a world that is routinely confused about what true love is. God’s children are the conduits of His love, as they are empowered by the Holy Spirit. For a long time, my heart was a mess. For many years I had been “acting” through my life and not being honest with anyone about my true feelings or struggles. I made poor choices that had long term effects and until I got right with God and honest about the choices I made I was not going to feel real love. My emotional wounds had made me harsh, short-tempered and depressed. I operated purely out of fear I think. Fear and auto-pilot. I called myself Christian. I went to church, I served, I read the bible but even though I knew all there was to know about Christian living, I had not learned how to receive the love of God—the only thing that can heal someone’s sick soul. It wasn’t until I surrendered control and started receiving God’s love that I finally became free. I was at a Joyce Meyer Conference that my life, my walk, and my heart began to change. Please take time to study love. It is so powerful and I promise it will change you life! What is my definition of love? Does it coincide with what God has revealed? Do my actions show God’s love? Or do my actions show the world’s idea of love? Why? Does my love mainly benefit me? Or does my love largely benefit others? Do I love God more than any human being? What evidence in my life shows this? How do we demonstrate more love? It wouldn’t be too much of a stretch to guess that love is the most important fruit of the Spirit, simply considering that God is love. So how do we show more of it? Study and internalize God’s 10 Commandments (instructions about how to love God and our fellow man), and then strive to follow them every day of our lives. Modern society promotes wrong types of “love” that have done everything short of completely destroying humanity. Christians are to be the beacon of a different love, a love that will ultimately save humanity. This entry was posted in Uncategorized and tagged agape, christian living, daily life, fruit of the spirit, healing spiritual wounds, Joyce Meyer, love, relationships. Bookmark the permalink.